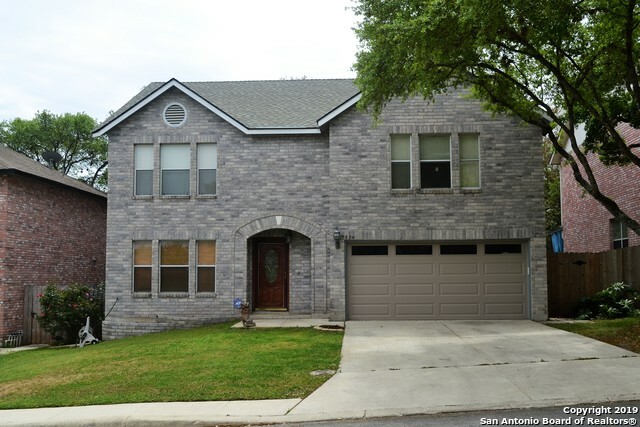 All Northwest Crossing homes currently listed for sale in San Antonio as of 04/26/2019 are shown below. You can change the search criteria at any time by pressing the 'Change Search' button below. "Beautiful Home in Beautiful Community! Amazing 2 story floor plan for large families, its 4 bed-2.5 baths are nicely distributed and spacious. Kitchen and all social areas in main level; suites and family/game room upstairs. Enough room inside and out, perfect for entertaining or intimate family gatherings. The mature trees and private fence provide beauty and privacy that every member of the family will appreciate, even the pets! Nice school district and close to community pools, sports court a"
"Your wait is over! This beautiful 4 bed /2.5 bath gem found in the heart of the Greater Northwest has it all. Separate formals, kitchen over looks the beautiful family room with custom built wooden shelves. The backyard paradise has an enormous covered patio with Lemon, Pomegranate, Persimmon and a majestic 300 year Oak Tree!!! 2 car garage with a handyman's work area. Schedule your appointment now!!" 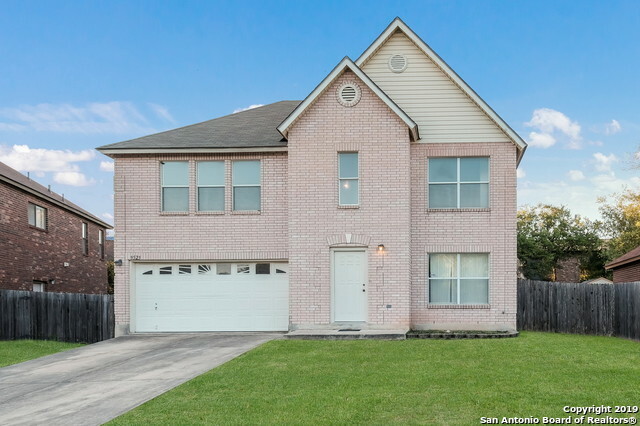 "Located in the Great Northwest Subdivision, this two-story 4 bedroom/ 2 1/2 bath home features open living space and dining areas where family or friends can gather. Appliances in kitchen and garage will remain with the house. Need large amounts of bedroom or office space? The master bedroom has an attached office, master bath, and walk-in closet. The additional three upstairs bedrooms all have walk-in closets and a separate full-bath. The backyard features a deck with several mature trees for s"
"Don't miss this amazing spacious home that has been beautifully remodeled. The open floor plan perfect for entertaining & comfortable living boasts of 2 living areas with new wood flooring and fireplace. Open kitchen offers all new granite countertops, backsplash, tile and ss appliances. Other upgrades include brand new roof, new carpet in the bedrooms and gameroom, fresh paint the-out, new tile and granite vanity counters etc." "Open House - Sunday, February 24th from 1:00 to 4:00 PM. Remarkable home in well established Northwest Crossing. Located on a cul-de-sac, next to a baseball and soccer sportsplex. Bright and airy w/ tons of windows. Kitchen features loads of cabinet space and a removable island. Lavishly landscaped backyard w/ mature trees, sprinkler system & gorgeous wooden deck with lattice and railings, perfect for entertaining. Home also features a huge game room up. Walking distance to award winning element"
"4 Bed/2.5 Bath Two Story Home provides Open Floor Plan, Beautiful Tile & Wood Floors, & Abundant Natural Light*Three Living Areas including Upstairs Loft/ Game Rm & Two Dining Areas*Dine-in Kitchen offers Island w/ Breakfast Bar & Stainless Appliances*Spacious Master Suite w/ serene Master Bath that has Double Vanity*Backyard is Fully-fenced In*Loft/Game Room upstairs used to be 5th Bedrm & still has Walk-in Closet-potential to be converted back to 5th Bedrm*Fridge Excluded"
"This is a spacious family home with two fireplaces, an enormous master suite, large patio, surround sound throughout the entire house, and a whirlpool tub. 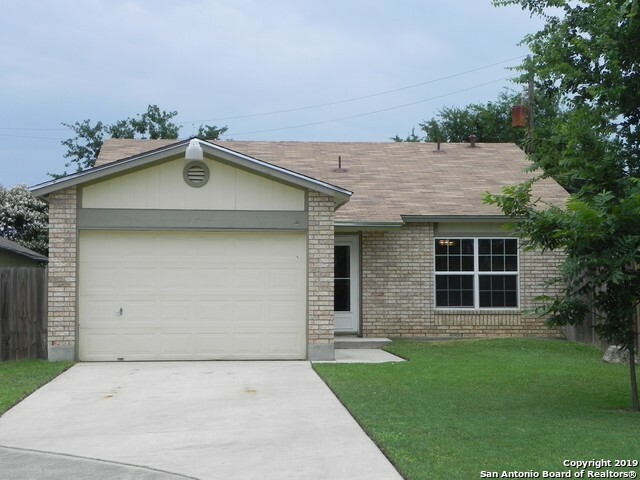 It is set in Northwest Crossing Subdivision and near Lackland AFB." "Beautiful two story brick home with over 2500 square feet of space. Tile and vinyl flooring throughout with carpet in bedrooms. Island kitchen with lots of space. Large bedrooms all upstairs. Please do not disturb tenants." "Brand new floors throughout, sparkling appliances, and granite countertops give this traditional charming home a fresh look for 2019 and you can reap the benefits! The formal dining room right off the well-appointed kitchen is perfect for dinner parties, and the large living space with alluring fireplace make for a great movie night with the family or fantastic holiday celebrations! 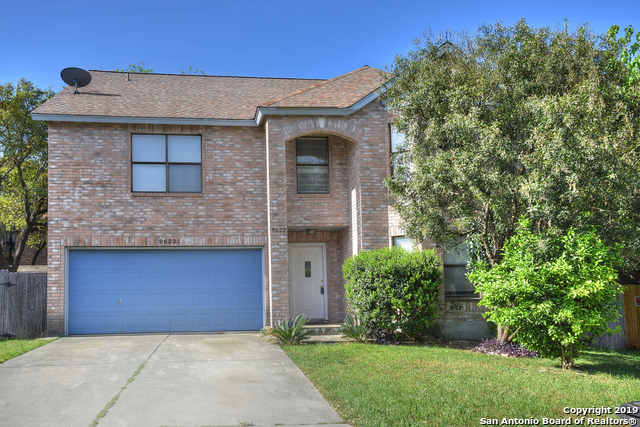 Your neighborhood boasts pools and clubhouses with easy access to 1604, shopping. Come see and start your new chap"
"Wanting the modern look without the new home prices? Check this sweet property out. Spacious living and dining room with 20-foot ceilings, cozy fireplace and gorgeous custom barn door. Incredibly updated kitchen with stainless steel appliances, Ikea cabinets with smart storage solutions, and open floating wood shelves. Big bedrooms with views of the mature oak trees in the back yard with huge wood deck. Sits on a lovely, quiet street in the well established Northwest Crossing Sub. EZ access to s"
"Spacious 4 bedroom home featuring an open floor plan, new carpet, freshly painted interior, fireplace in the living room, island kitchen, covered patio plus a deck in shaded yard with mature trees. New HVAC system installed in October 2018. 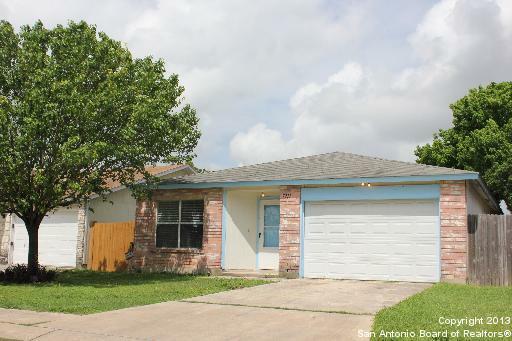 Located close to elementary school, easy access to Loop 1604 for convenient commute to everything." "Beautiful 2 Story Home on a Cul-de-sac with 4 Sides Brick! The Master Suite is HUGE and has a Master Bath with a Double Vanity Sink, Garden Tub, and a large walk-in closet. The kitchen has lots of counter space, with a breakfast area and an oversized walk-in pantry with plenty of shelving for storage. The secondary bedroom has a small computer desk area. Close to 2 parks, enjoy 2 pool areas, 2 clubhouses & a soccer field. Move-In Ready. New Roof and Laminate Flooring installed in April 2019." "Delightful 2 story home in Northwest Crossing. 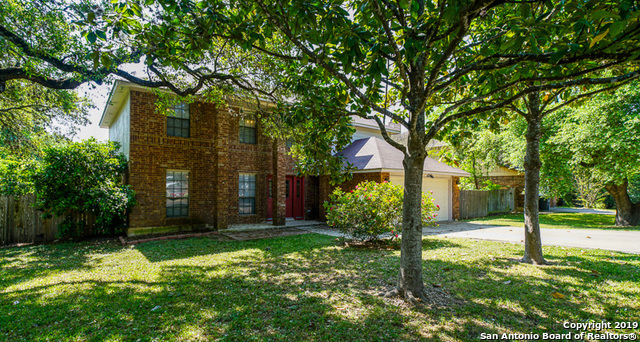 This 2178 sqft home has 4 bdrms, 2 1/2 baths, and rear entry 2 car garage. Bright island kitchen with granite counter tops, 2 dining areas, and wood burning fireplace in living room. Master bath has walk in closet, double vanity, and garden tub. Sprinklers make watering the yard easy, so you'll have time to enjoy neighborhood amenities like parks, pools, tennis courts, and soccer fields. ***Refrigerator, washer/dryer convey. 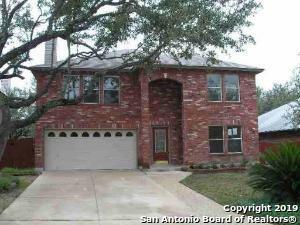 ***Roof less than 3 yr"
"Welcome Home to gorgeous natural stone travertine throughout the 1st floor! Natural light pours through energy efficient e-gas windows brightening your life. Center Stage is the Stunning Granite Counter Top Kitchen with LG stainless steel appliances. Pass through French sliding glass doors to the covered deck. Relax in the loft & bask in the warmth of hardwood flooring throughout upstairs. Spacious bedrooms are your oasis, while exterior landscape lighting, fencing and roof will serve you for ye"
"GREAT FLOOR PLAN & TREED LOT. FAMILY ROOM WITH FIREPLACE, MASTER BEDROOM DOWN WITH WOOD LAMINATE FLOOR, HIS/HER CLOSETS & CUSTOM VANITY IN BATH. 2 EATING AREAS, GAME ROOM UP WITH 3 BEDROOMS & BIG BATH. 2 CAR GARAGE WITH UTILITY SINK & BUILT IN CABINETS. TREED BACK YARD WITH BIG DECK AND A STORAGE/CRAFT ROOM. NEW HVAC INSTALLED MARCH 2019. THIS PROPERTY SOLD AS IS! BRING OFFERS. SELLER MAY CONSIDER PAINT & CARPET ALLOWANCE. NEGOTIABLE! BRING ALL OFFERS!" "Fabulous find in NW Crossing. Expansive rooms abound. Listed as a 3 bedroom but has another room (no closet) downstairs that has been a bedroom plus an Office on the main floor. Open concept with large kitchen and big walk-in pantry/laundry room combined. Plentiful storage. Master has his/hers closets and double vanity. Freshly painted, new carpeting, and roof was replaced (2015), new dishwasher (3/19), new faucets (4/19). Garage is finished & has openers. The neighborhood has lots of amen"
"You'll love the custom kitchen in this home! Custom cabinets with Lazy Susan in corner cabinets, deep bottom drawers, slate backsplash and stainless steel appliances. Refrigerator included! Converted garage still has storage space for tools and lawn equipment. House sits on semi circle away from the street giving a driveway with plenty of room for multiple vehicles. Large master bedroom with walk in closet. French doors in LR have mini blind between the glass. Sq footage shown does not include t"
"INVESTORS ONLY!! DON'T MISS OUT!! 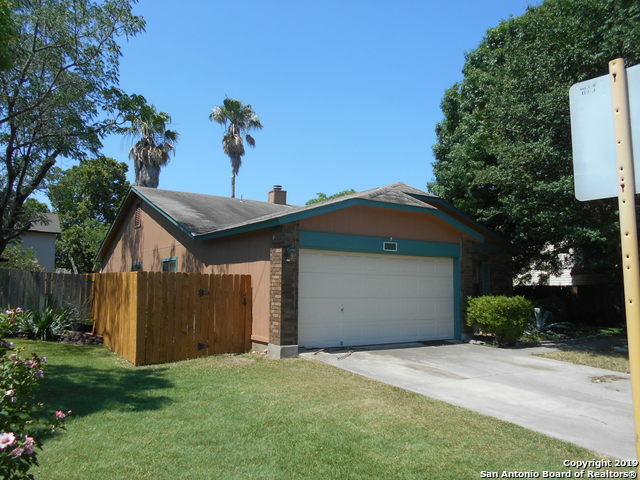 On this 1,731sf Single Story 4/2/1 CASH FLOWING RENTAL INVESTMENT HOME!! TENANT JUST RENEWED THEIR LEASE $1,400/MONTH ENDS NOV. 2019. GREAT LOCATION!! NW CROSSING just inside Loop 1604 & Shaenfield Rd. Featuring: Open floor plan w/formal living & dining, Spacious Kitchen/Breakfast area opens up to a Huge Family Rm, Walk-in Pantry & Utility room off the Kitchen; Spacious Master & Nice size secondary bedrooms. Call for More Information!!"